Nothing’s more important than my four kids, my mother always claimed. My life is my kids. And she believed it. As did my father. That she was the center of our family was certain, but I was never convinced we were her center–her happiness, that her love was as pure and complete as she insisted (and I suspect wanted it to be). So much of who she was refuted that. Her dissatisfaction and self-centeredness were out there in blazing color– as were her withholding and anger; her face covered with cold cream each time we tried to kiss her, stands out as a beacon of her ambivalence–or the sweaters she knit in the wrong size or color. She’d make a point of asking what we’d like then just disregard it. If I asked for big, I got small; if I wanted white, I got red–discarding what I had to say, on the one hand, turning herself inside out to listen on the other; angry one day, happy the next; this morning, a cutting remark, this afternoon, singing our praise. We learned early on that we had no control over her moods or our own rewards or punishment. She was entirely unpredictable. As I got older, she’d tell me she hated her living room and wanted to rearrange it and needed my help, so I’d spend the day with her redesigning until she swore she loved it. We’d sit back and admire what we’d done, she vociferous in her praise of my ideas and helpfulness, I satisfied, delighted really, to have been able to do something for her that pleased her. But the next day when I returned from school, she’d have moved everything back to its own corner–each piece in its original place hugging this or that wall as if the preceding day had been a mirage or dream. When I’d ask what prompted her to change everything back, she’d say that the changes just didn’t work– you couldn’t do anything with that room (other than what she’d already done!). And the important part of it all was her insistence, first, when we originally talked, that she really did want help this time, and this wouldn’t be another case of us spinning our decorating wheels only to have her revert to the same bland construction, and later, subsequent to our completing the job, that she loved the new arrangement– no, this time she really did–she wouldn’t change it back for all the world. I finally refused to help; she finally stopped asking. The living room stands monumental all these years–each piece in its respective home along the periphery of the room, an additional table or chair made room for by shifting each piece ever so slightly left or right of its original home. So living with Mom meant lots of seduction followed by let down, never really knowing how important or unimportant you were. For example, while the above was going on, she was also schlepping to Macy’s or Bloomingdales to buy me whatever dress or outfit I’d dreamed of, and what I’d conceived of but no other designer had, she bought elegant fabrics to make herself. And make my clothes, she did, constantly modifying patterns to satisfy me. For my college Christmas Dance, she moved the sewing machine into the living room and was sewing until my date arrived. I’d decided that I wanted a shawl to top off the black velvet and white peau de soie strapless. Undaunted, she measured out the leftover fabric; she was used to my additions, so she always bought extra. I don’t remember a time that she made a dress or outfit for me that I didn’t redesign. And she always did so good-naturedly and without pause. The same was true with food; she baked the favorite cakes and meals of each of us– special creamed fish for Catherine on Friday nights when the rest of us ate broiled or fried, pancakes or banana eggnogs for Sonny’s breakfast while the rest of us ate eggs or Wheatena, meatloaf with mashed potatoes for Jerry, and warm chocolate chip cakes for me when I came from school. From time to time, when I was in college and left at irregular hours, we took turns making each other breakfast. I loved those mornings. She seemed to as well. That way we can both feel like queens, she’d say. Yet on any alternate day, we’d be greeted by her darker sister who’d serve us cereal with sour milk. We complained, of course (though not too fiercely for fear of inciting her), but she insisted it was fine and made us eat it (me and Jerry, that is; the older two just waited for her to leave the kitchen then dumped it down behind the frig. Jerry and I just sat gagging or holding our breath while we swallowed the putrid mess. It felt like hours). Then there were the silences: for me, the most lethal. My mother used silence as speech; she said great mouthfuls with it. Silence contained her biggest feelings, anger mostly, and disappointment. She’d simply refuse to speak. No matter what we did to try to cajole her into explaining what our crime had been–and it was that mysterious–she’d become frozen and stiff seemingly without provocation and no manner of plea or apology would bring her back. Days would pass with one or all of us totally alone. Like balloons let go on a day of little wind, we’d float through the house disconnected, directionless–each avoiding the bad one for fear of similar treatment–until Mom decided she was no longer angry or that he/she had been punished sufficiently and were appropriately contrite. This usually took several hours, often days. In my case, that usually meant she called me over to her and Give me a kiss, she’d command. Right here, pointing to her cheek. Regrettably, there are few resolutions for the child raised by the ambivalent mother. He/she has no choice but to obey; the consequence of refusal brings too great a terror of retaliation. Robbed of a positive sense of self and the belief that he/she has any control over his/her life– love, rewards, or punishment –this child is emotionally underdeveloped and often damaged. Reality is distorted and fickle—changing from one day to the next depending on the whim of the mother. The mood in the home is stifling, threatening. In the best of circumstances, the child has another parent or loved one (aunt, uncle, grandparent) he/she can turn to for help or if he/she is too inhibited to speak, one who recognizes the vise the child is caught in and can step in to offer reassurance. More than anything the child needs protection; hand in hand with protection goes the need for consistent reality testing: affirmation that the mother’s behavior is abusive and that the child doesn’t deserve this—no child does. Ideally, he/she (and the parents!) is taken to psychotherapy to decipher the faulty, conflicting messages and introduce an alternate way of viewing him/herself and the world. That is often not possible. In cases such as mine, my father was no match for my mother. Talking to him would’ve reaped no rewards other than his insistence that he loved us and was sure Mom did too. There were no grandparents or close relatives. Nuns didn’t encourage us to speak about what troubled us. The answer probably would have been to pray (as would’ve been my father’s) or to take my mother’s part. People didn’t speak much in the 50s, least of all children. And we had no rights. The old adage, children should be seen but not heard, is an apt description. Fortunately, the climate today is very different. Exposure to the media shows a child that help is available, that it’s possible for a parent to be wrong, mean, even cruel. Speech is encouraged in school, even in church and synagogue. For me, freedom began with my involvement (albeit very gradual) with the outside world –which coincided with my entry into high school. There I started to separate myself from my mother, confiding less, depending less, asking for less. I also met new friends and compassionate nuns who offered a new lens through which to view myself. As I continued to grow into adulthood, I entered therapy and began to recognize the immense power my mother had over me –the first step toward repairing the damage. And yes, repair is possible. It takes hard work but it can be done. This Roadblocks to Intimacy & Trust Series will continue to chronicle that growth including my relationships with my father, siblings, friends, men, two marriages (one failed, one tested but ultimately successful), and motherhood to a place where most days I can actually say that I forgive my mother. She too was a victim. So many of us were/are. CavanKerry, a not-for-profit literary press, aims to expand the reach of poetry to a general readership by publishing works that explore the emotional and psychological landscapes of everyday life. 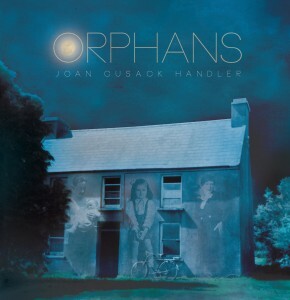 Come enjoy recent work by publisher and poet Joan Cusack Handler, “…whose verse memoir, Orphans…tackles the big subjects – family history, aging parents, Irish Catholicism, belief and unbelief, and her own impending mortality – with a fierce, wrenching fearlessness” (poet Elizabeth Spires). She is joined by poet Tina Kelley, reading from Abloom & Awry (2017), which poet Pattiann Rogers says “presents the unrestrained curiosity and imagination of childhood in exquisite language without exaggeration or sentimentality. ” Also reading is Danny Shot whose book, Works, is due out in 2018, and whose poetry has appeared in Aloud: Voices from the Nuyorican Poets Cafe and The Outlaw Bible of American Poetry. “Danny’s work highlights the joys of human life, while also tearing away sheets of denial to confront modern political and social hypocrisy…” (poet Eliot Katz). No one is taught how to cope with the death of a loved one, arguably the most emotionally painful experience in one’s life. After Joan Cusack Handler’s parents died, she decided to explore the aftermath in her latest book, “Orphans,” and reflect on her family life. Ms. Handler, a 75-year-old poet and psychologist, published the book in March after collecting 10 years worth of her poems that she never thought would form a cohesive body of work. This honest and intimate verse memoir delves into the vulnerability that comes with losing both parents and essentially feeling like an orphan. Although all of the stories are personal accounts, they discuss universal topics that virtually everyone with family members experiences. Ms. Handler provides a glimpse into a household of strained relationships and religious conservatism from three different points of view. She recorded her parents’ words when they were ill and turned them into poems. Eleven poems, titled either “My Mother Speaks” or “My Father Speaks,” are stories about their own upbringings that provide insight into the way they later raised their four children. Ms. Handler recorded their voices to hold on to a part of them after they died, unaware that these words would end up in a poetry book. Ms. Handler and her father always had a loving and respectful relationship that lasted until he died seven years ago at age 99. Although she considered them very close, his conservative outlook—he was a devout Catholic—was consistently a bone of contention. Her different religious and political stances caused frequent fights between the two of them. Although she considers her first family “very broken,” she is grateful for the family she now has. She and her husband of 36 years, Alan Handler, split their time between New Jersey and East Hampton while raising their son, David. Joan Cusack Handler will have a book signing for “Orphans” at Canio’s Books in Sag Harbor on Saturday, October 22, when visitors can meet her and discuss her poems. From the founder of CavanKerry Press, this delightful memoir in verse bears witness to a complicated family history of Ireland’s Troubles, devout Catholicism, fierce maternal strength, aging, death, bitterness, and love. That Joan Cusack Handler’s poetry is flawless serves to draw the emotional tension of her carefully measured remembrances even tauter. She is the author of two other collections of poetry, another memoir, and the recipient of five Pushcart nominations. yes, her mother loves her. I’ve read and re-read “Orphans” and much of it keeps coming back to me whenever I’m walking or driving or have an idle moment (waiting in a security line at the airport, for example). While composed in different voices, each taking his or her turn, there’s nonetheless a tapestry quality because the poet’s interweaves the speakers’ stories as well as as moves back in forth from the historic-present (the voice of the lyric-I who seems to be writing this while sitting on a beach somewhere) to the distant past, to the near past, to the middling past, and so on. The family history of each generation implicates and shapes the fundamental qualities of the next, especially of the poet’s mother and father. I feel as though I’ve come to know this family, to absorb the gist of it as a family, in a wholistic way, as a gestalt; even though, I know that logically that’s impossible. To me, this sense speaks to the skill of this style of integral storytelling. To name a theme, I’d say “we are our stories and that’s both a blessing and a curse to be damaged by, cherished, and transcended.” I marvel at how the poet conveys, not directly, but as a subtext, how difficult it is to be born into any particular family constellation and thrive, to know and feel all a sensitive person, child and then adult, comes to know and must endure, must come to terms with. 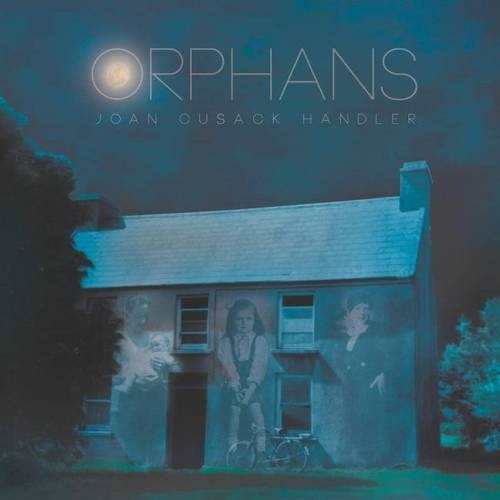 In that sense, Orphans strikes me as an heroic tale. I feel elevated in the way that poetry enriches my sensibility (language and perceptions heightened), and in the way memoir enriches my connection to the flow of human history: Orphans is a successful and engaging integration of both genres. It’s gotten under my skin. Orphans is now up in the Summer 2016 Online Edition of Rain Taxi Review of Books. Read the review below….. I catch myself praying again. How long have we left? As the poet remembers and depicts her father, she also reflects on her own mortality. Now over seventy, both she and her husband face the inevitable. For this reader, this section is the richest, most moving part of the book. Naturally, the poet examines her own terror of death, and who could blame her? The lines between life and death can blur in an instant. I posted this East Hampton Star review last week. What follows is my response to a question raised in the first paragraph (I’ve included it below) which ultimately concerns all of us and I’d love to hear your thoughts. “Orphans” is a verse memoir about just that. Who wants to dwell on death? First of all, though I love being mentioned in the same conversation as Eliot, I take issue with the choice of words—loaded as they are— Who wants to dwell on death? Do they reveal bias on the part of the reviewer? (Rather than ‘wants’ I’d have preferred ‘chooses’ or ‘decides’; for ‘dwell’, perhaps ‘confronts’, ‘faces’, even ‘focuses on’ to describe what motivates those of us who think about death and deal with it in our art). That said, whether subtly advancing his own view or simply reiterating a universe of criticism—literary and non— that exists in the world about the expression in art/life of the less seemly events that arrest us all at some time, the reviewer is making a popular point–It takes time away from life itself. Who wants to dwell on death? My answer: No one I know of. Though the way things work, we have nothing to say about it. Life robs control, smashing us in the gut with some fierce/hideous event. All breath stops. Head and body explode. Grief is All. Death is part of life. It happens to all of us and must be reckoned with. We have fantasies about it; we’re afraid, even terrified. So we try to deny it, pretend it isn’t there. But why sentence ourselves to the most searing loneliness any of us can imagine? Facing it for the first time when it comes for us. The terror of those last moments is unimaginable. In my other life, I’m a psychologist in clinical practice and deal all the time with depression, the more ‘seemly’ substitute for anger. Anger with life for the tragedies it inflicts on us, anger with family, with one’s spouse, boss, co-workers, friends. Rather than face it, we turn it in on ourselves in the form of depression, Freud explains when warning of the detrimental psychological effects of repressing or denying feeling. Like a boil that travels through the system in search of other places to break out, repressed feeling erupts in different guises—depression, anxiety, lack of motivation, marital and job related conflict, loss of self-esteem to name a few. Boil or feelings, it can’t be resolved without getting to the core. Just as death IS, and birth IS, feelings ARE. They’re part of every life experience. We don’t choose to have them. They come with the territory. But we do choose, consciously or unconsciously, how we deal with them. I recall a conversation with a woman in which I pointed out the fact that though she might confront her anger with her parents, that didn’t mean that as a result, she’d run down Lexington Avenue tearing her clothes off screaming obsenities. Or kill her parents for not loving her. Just so with facing death, grief and loss—our own or a loved one’s—by talking, thinking about, confronting it, we aren’t dooming ourselves to drowning in grief and loss; with time, the pain usually subsides enough to allow us room for other feelings—especially life gifts. The alternative is to remain depressed or arrested emotionally. And utterly alone. Who chooses that? Regarding our art, what would our critics have us do when such crisis hits? Set it aside completely? As artists we naturally turn to our art to make sense of our lives. To understand what has happened to us. What we feel. And we discover feelings we never knew were there. Receivers, we accept what is given and hopefully express that in the art that feeds and eventually heals us. The art that is our conversation with the world. Are these tragedies not worthy of art? Isn’t that one of the gifts we look to art/writing for? To help us explore the emotional terrain of experience—the pain and terror as well as the joy? I didn’t sit down to write poems about my Dad’s death or my mother’s or my own, to ‘dwell on death’ as our reviewer says, but I did sit down with my notebook (my friend) and my sadness and words came that helped me begin to reckon with this great break in my heart. Trusted friends, words helped me find a way through it, and come out on the other side. I never knew what they would say, but words allowed (rather than suppressed) formed poems that told a story—several stories: that of my parents– their beginnings in Ireland, their emigration, our ambivalence, my loss of them, and yes, terror of my own death now that fear of theirs was no longer my protection. This last was a feeling I didn’t know I had. It stunned me and threw me into yet another life crisis; hence the last section of the book. Writing, as all art, becomes a kind of friendship, a companion we learn to trust. It speaks for the all of us—the parts we know and those we’ve never met. This is the root of art’s gifts –it speaks from the depths of a soul, and, if given rein (that’s where we artists come in), shares its truth with its world. Poetry is what uses us. I’ve been a psychologist in clinical practice for more than 30 years. Not surprisingly, I’m also a writer who focuses on the emotional and psychological underpinnings of human experience. Committed to meticulously preserving client confidentiality, I never use client’s biographies in my writing; I restrict myself to my own. Hence all four of my books may be considered one biography—focusing on different stages of my psychological life. And because poetry is about discovery, as I reveal myself to my reader, I reveal myself to me. Not unlike most sons and daughters with aging parents, I became much more involved in their lives and their care as the years passed. The natural accompaniment to that was that I wrote more about them than I had before. And because my writing reflects what is going on in my life, their illnesses found their way into my poems as did their thoughts and behaviors, my memories, observations, and conclusions. My mother was the first of my parents to die; that was twelve years ago. I had little time to grieve her because my sister and I immediately set about tending to our father as he tended to himself—cooking, baking bread, vacuuming the living room– and dealt with her loss. Several years passed and a fall in his bedroom sidelined him from most of the things he most valued in life—going to Mass, reading his prayer books, ‘baking the bread’. The second fall broke his hip. It happened in my home in East Hampton. Hospitalized in Southampton Hospital, he came through surgery fine, but died within days of pneumonia. My sister and I and even our estranged brothers were devastated. His loss left a huge hole in my life and my heart. I adored him as did everyone who knew him. I loved talking to him, listening to him—his stories, his wisdom, his wise cracks; I loved making soup for him. His loss was huge, my grief relentless–far reaching and spread over my whole life and family. I became depressed and terrified. Loss became synonymous with terror. I was obsessed with death—his first, then my own. My life diminished to a thin slip of days –the loss far more than the loss of my father. It signaled for me the imminence of my own death. I felt stripped, stalked. My days became very dark and one slid into another without notice. Weeks went by, months, years. I felt alone in a way that I had never felt before. Though I had fancied myself independent of my parents for over 50 years, I felt abandoned by my father. How could I live this life without him? I was on my own. Despite the closeness and attention of my husband and son and his wife, I felt like I was out there at the end of a very long jetty alone. My life was ending. I was an orphan—a daughter without parents, no longer blanketed by my father’s love but stripped down to myself alone. What would life be without him? Death was around every corner. In the beginning I avoided my notebook. I couldn’t write. I was terrified of my notebook. What it would force me to say. Eventually I picked it up, opened it and wrote– for a few minutes. Weeks, months later, I’d return for a slightly longer time. Twenty minutes. Never more than an hour. I filled one notebook and started another. I made poems of these entries. The poems became the body of the final 20 pages of Orphans. My death terror was finally in writing. As I do in all of my work, I studied my symptoms in an effort to fully understand what was happening to me. What emerged was a picture of a woman orphaned in her seventies. Vulnerable again in ways she hadn’t been perhaps since childhood. No longer protected. No longer shielded from death. But exposed, threatened. Amazingly, this was a stage of life that I hadn’t heard of. The loss of my parents, yes, the obvious grief and sadness, of course. But the terror? The obsession with my own death? No. For these I was completely unprepared. I had never heard of this before. No psychological theory explained it or predicted it. Professors didn’t focus on it—fellow clinicians didn’t speak of it. Had I missed recognizing this vital stage in my psychotherapy work with clients? I couldn’t think of any, but I understood more deeply what seemed like a friend’s prolonged grief (several years) after her mother died and another’s inability to move into the house her father had lived in and willed to her. I Googled ‘orphaned in adulthood’ and found a few references there. Fortunately for me, I had the poems. Committed to the truth, I wrote what the poem knew and wanted me to know. It took the poems and the finished book to pull me out of the depression I was arrested in, and it turns out that my project resonated. “My husband and I often say we’re orphans,” friends told me. “The loneliness was the worst part and the feeling unprotected,” others said. I felt strangely validated and gratified. If we are not now already orphans, we’ll someday all be—in this together. This essay originally appeared on the blog Girl Who Reads.